It’s been a while since I’ve done a weekend line up! This is the first weekend in awhile where I’ve only got to stay in the house. Of course, I’ve got work to do. That will slow down soon as we wrap up this month’s project. 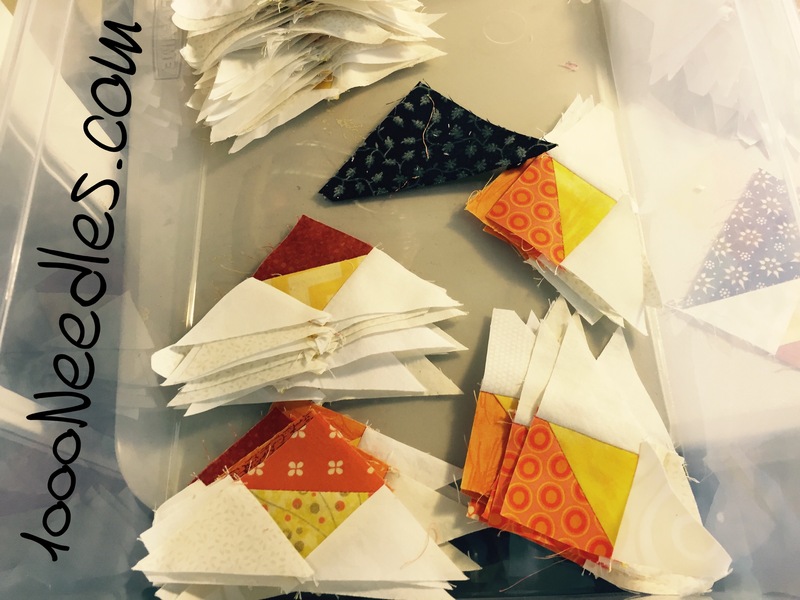 But I love the weekends to work because I get a ton done and I can do it at my own pace AND better yet, sprinkle in a bit of quilty goodness here and there. I made a lot of progress this morning. I’ve pieced all (but one) of the blue triangles to their designated spot. Now I’m half way through getting all those pieces for Step 5 done. 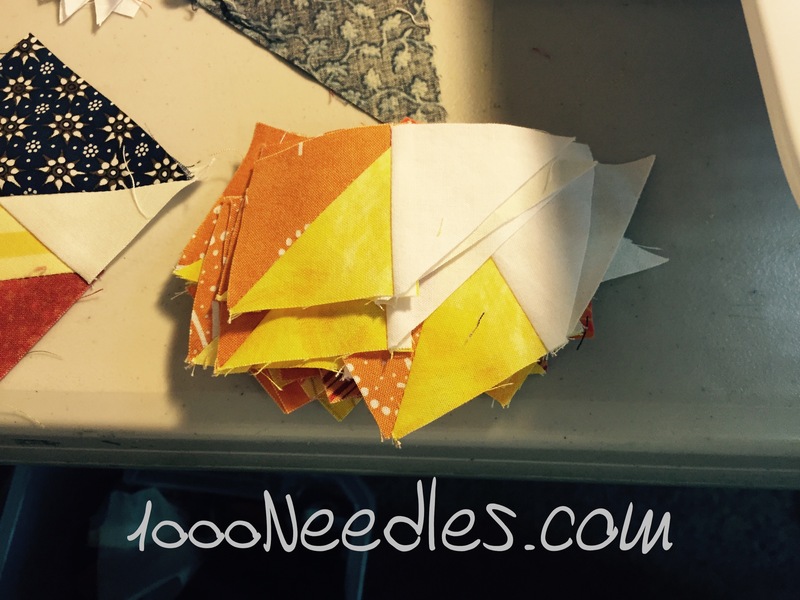 As I determined some time ago, I will need to cut more of the little white triangles to get more of the Orange/Yellow/White combo HSTs. 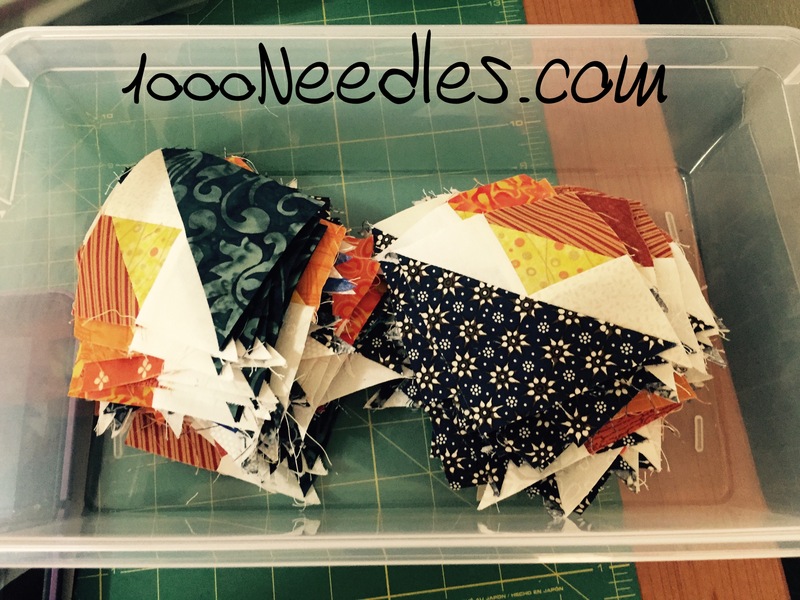 I will also need to cut a lot more of the blue triangles to complete the second half of the parts. Lots of good progress! Congratulations. As the pieces get bigger, it goes faster, I think.